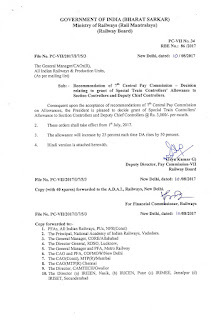 7th CPC Special Train Controllers Allowance to Section Controllers and Deputy Chief Controllers ** Government of India (Bharat Sarkar), Minsitry of Railways (Rail Mantralaya), (Railway Board) ** PC-VII No. 34 ** RBE No. 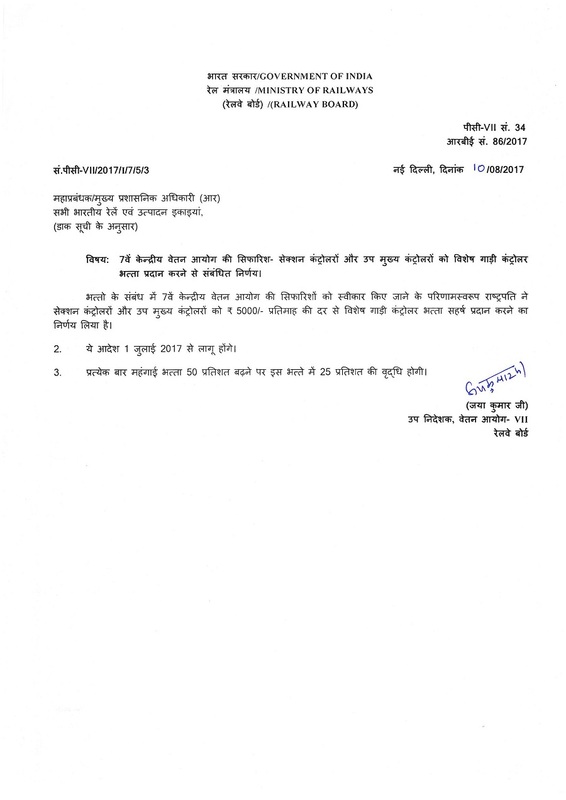 86/2017 ** |File No. 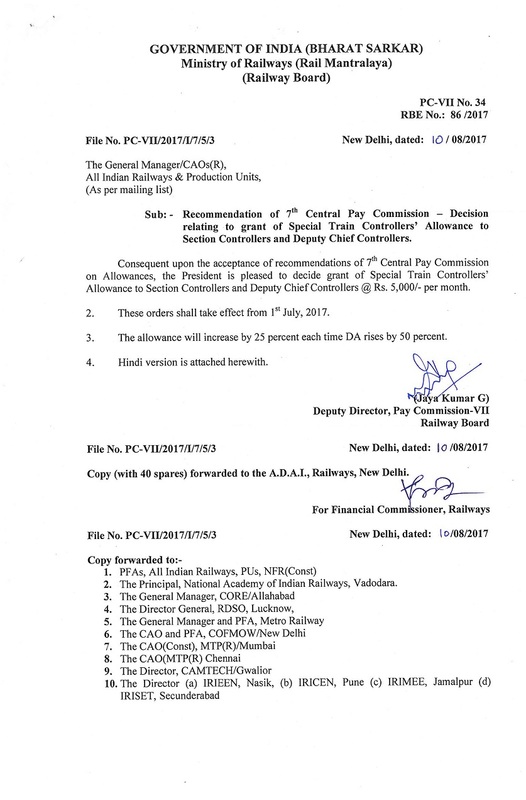 PC-VII/2017/I/7/5/3, New Delhi, dated : 10/08/2017 ** The General Manager/CAOS(R), All India Railways & Production Units, (As per mailing list) ** Sub: - Recommendation of 7th Central Pay Commission - Decision relating to grant of Special Train Controllers’ Allowance to Section Controllers and Deputy Chief Controllers. 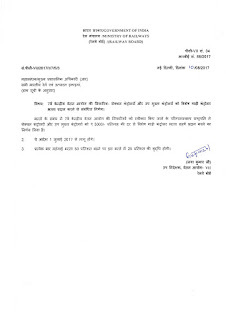 Sub: - Recommendation of 7th Central Pay Commission - Decision relating to grant of Special Train Controllers’ Allowance to Section Controllers and Deputy Chief Controllers.